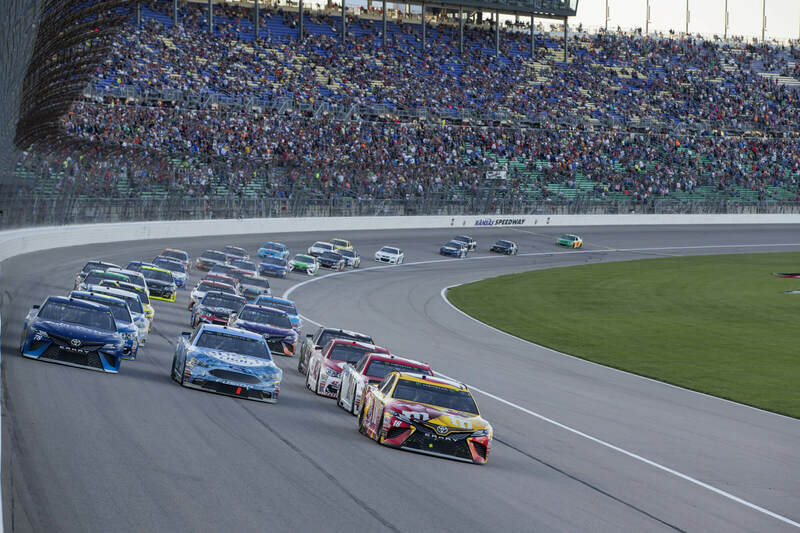 Kansas City, Kansas, USA: Kyle Busch (18), Kevin Harvick (4) and Martin Truex Jr. (78) race for the lead during the Go Bowling 400 at Kansas Speedway. 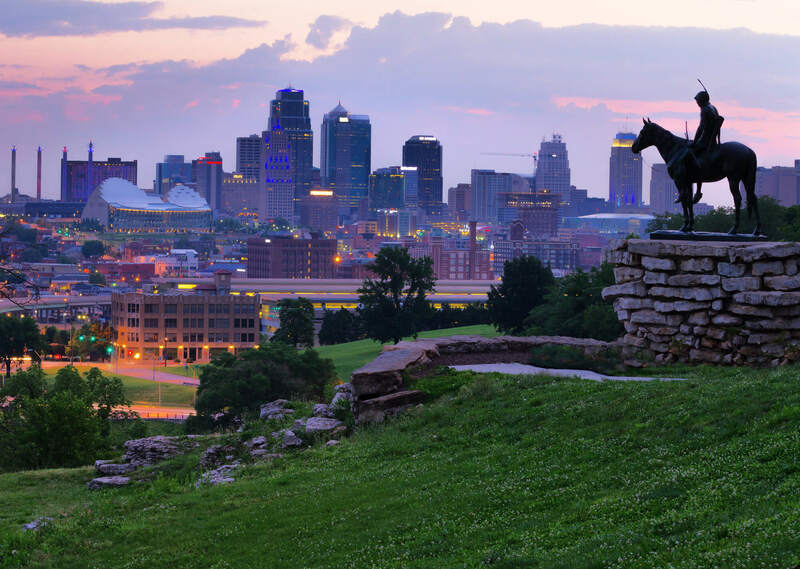 View of Kansas City, Missouri skylines at dawn during golden light from the Kansas City Scout Memorial with all registered trademarks removed. 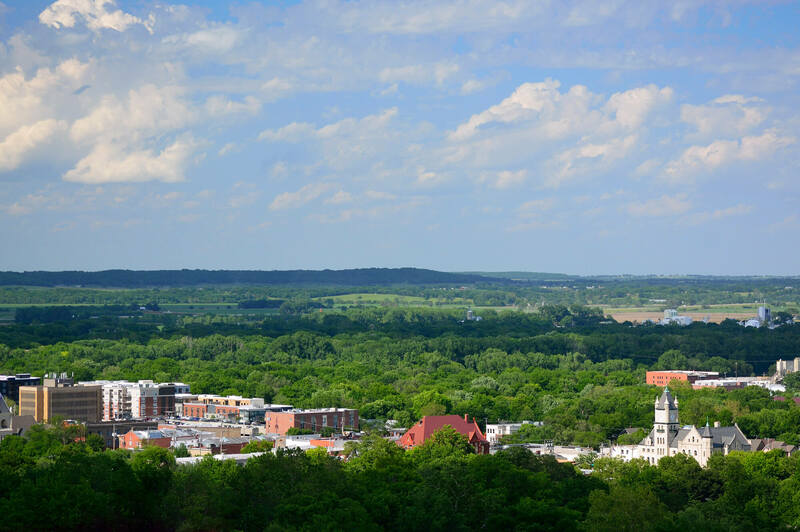 Buildings of Downtown Lawrence in Douglas County, Kansas, US. 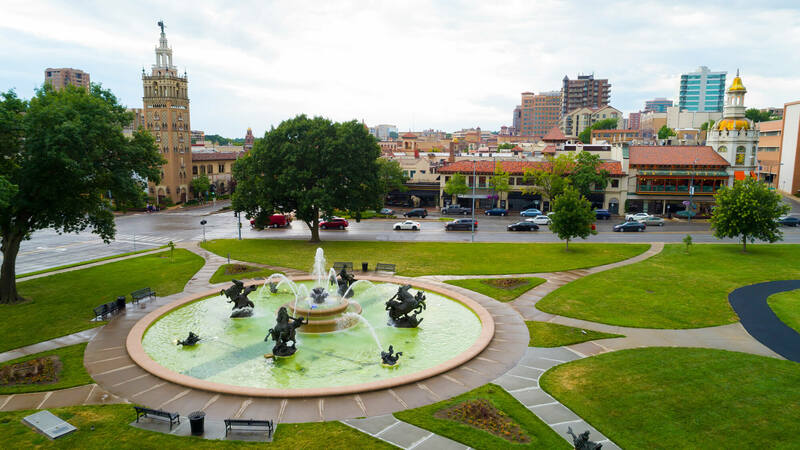 JC Nichols Fountain, Kansas City Missouri, United States. 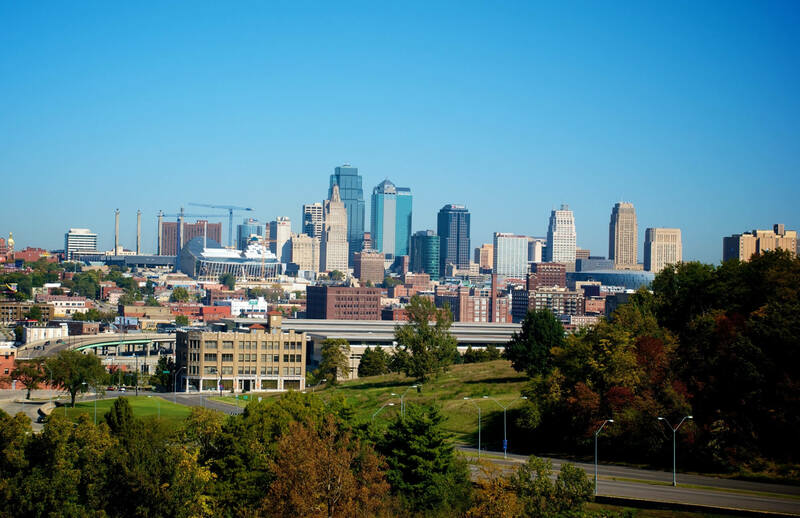 Kansas City Skylines, United States of America. Where is Kansas in the US?